RV's give you the freedom to go wherever you want, whenever you want. But it is more than the freedom of movement: it's comfort. The fact that you can move, but also relax whenever you wish is very refreshing. And what is more refreshing than a good nights sleep? 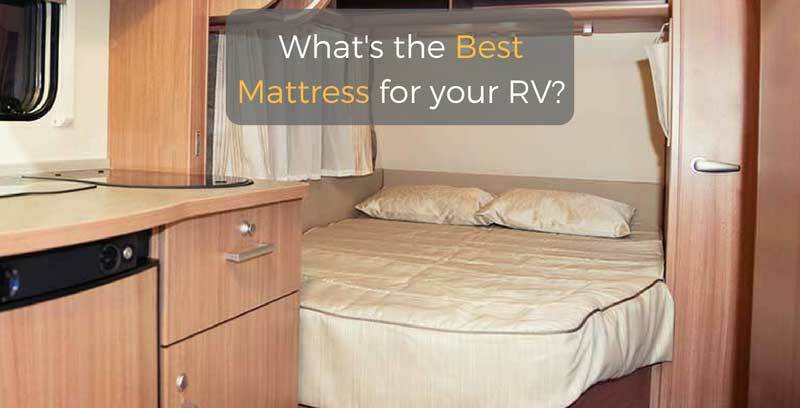 In this article, we will help you find the best RV mattress for your particular camper setup. Should you replace your old mattress, and what things must you keep in mind if you decide to get a replacement? We will provide you with our top 5 picks, and explain why these particular items deserved a spot on our list. More importantly, we will give you a complete buying guide, where we'll describe, in detail, all the factors you should you should take into consideration before making a purchase. Why Buy A New Mattress? What Mattress Should I Choose? Before we dive into particular products on our list, there are a couple of things we need to investigate. Here, we will discuss all sorts of topics: why you should invest in a quality mattress, what material will suit you the best, what features should you pay attention to, how RV mattresses differ from regular mattresses, and so forth. We suggest you read this section with care and attention because the information we provide here can help you select the optimal mattress for your needs. There are two main reasons why RV owners invest in a new mattress. First, there is the problem of stock mattresses, the ones that arrive with your RV. You have to understand that RV manufacturers have a lot of things on their mind when they design and manufacture RVs, you can't expect that they prioritize mattresses. In fact, they will often insert the ones that are light: the lighter the RV, the better mileage you get. Most default mattresses are thin, lack comfort and durability. They may endure a couple of years, especially if you only have to sleep for the night on two, but the more you sleep on them, they will lose their initial value and substance. And it's not just comfort we are talking about: its health. If you are waking up tired or in pain, there's a big chance that your mattress is causing these problems. People with back, shoulder and neck problems should consider at least trying a new mattress: experiment with it and see if the mattress is causing the pain you are experiencing. Consequently, you soon realize that your RV lacks comfort, which might be the reason why you bought it in the first place. I mean, you don't expect it to be as good as a five-star hotel, but still, you want to get a good night sleep after a day of driving or outdoor activity. So, you start to think about the new mattress. But maybe you don't need a new mattress; what about toppers? Let's assume that the mattress you have is functional: it isn't worn out, springs aren't pocking you, but despite the durability and functionality, you find it very uncomfortable. In this kind of situation, we suggest you buy a topper. Why? For starters, toppers are less expensive than the full-sized mattress. They are thinner, weigh less, and consequently cost less. A 3-inch or 4-inch topper (like the AmericanMade Full-Size RV/Truck Mattress) may give you the comfort you are seeking. However, if your current mattress is too saggy or is too lumpy, topper can't fix those problems for you. You could also add a topper if your newly purchased mattress is too firm. Topper could also add some breathing room, and prove to be a useful purchase during those hot summer days. Please, be aware of the fact that these sizes are susceptible to change. You might find that manufacturers perceive these sizes and nomenclature differently. For instance, the Parklane Mattresses claims that their Full RV sized mattress is 49 x 74 inches. On the other hand, Serenia Sleep Full sized is 54 x 75 inches. Furthermore, these measurements relate to width and length, not height. Personally, I prefer the word "thickness" because thickness plays a massive role in determining the quality of the specific mattress. Thickness varies depending on the manufacturer, design, and so forth. Generally, people opt for mattresses between 6 and 9 inches, but you can choose thicker ones. For instance, the Denver 326391 Short Queen RV Mattress (which we'll review later) is 11 inches thick. But it is soft, so there's no need to add a topper on it to soften the surface. You have to consider the possibility that you won't be satisfied with the softness of your mattress, and if it is too high (thick), you probably won't be able to put an additional 3-4 inches thick topper on it without experiencing discomfort. The best advice we could give you is to measure the frame manually; don't rely on the so-called "universal mattress terminology", for it is often inconsistent. Well, you'll find three choices on our list: spring mattresses, foam, and memory foam mattress. Let's discuss each of these design types and compare them; that should clarify things for you. There's a big chance you own one of these, presumably in your bedroom. You may encounter the terms spring mattress and coil mattress, but each term is referring to the same thing. The essence of this type of mattress is the mattress spring. Most modern spring mattresses consist of hundreds of individual coils, as opposed to traditional interconnected coils. This modern coil system is particularly useful when it comes to motion transferring. In essence, the system allows partners to sleep on the same mattress without discomfort: if you move, you only affect the coils beneath you, for they are independent. This means that the kinetic force won't transfer to your partner and vice versa. Such mattresses provide excellent support, and are often more expensive, but are also more comfortable than the foam mattress. They are also heavier (which might cause some discomfort when you decide to move them), more durable, and firmer. If you seek firm mattress (like I do), it is best you go for the spring mattress. However, spring mattresses aren't perfect. Since they are often dense, they tend to struggle with moisture. Now, this won't be a problem if you have enough breathable space between them, you won't have issues with humidity and mold. Also, most contemporary manufacturers opt for the Eurotop layer. Watch the video below to see the difference between Eurotop and Pillowtop. In short, Pillowtop adds more softness to the mattress than the Eurotop layer. Again, this is a preference thing, not a matter of quality, so go for the one that will suit you best. Alas, spring mattresses are often paired with foam or memory foam topper. Why? Well, the springs are very durable and can last for a decade, the softer upper layers tend to lose their original quality over time. You often end up with the functional base, but uncomfortable top layer. Mathematically speaking, roughly 70% of your mattress is excellent, but other 30% cause you problems. That is why most people decide to buy a topper to compensate for the lack of top layer quality. If you own an RV, there's a big chance it came with the foam mattress. They are lighter and cheaper than the spring mattresses, but often less durable. Foam mattresses differ a lot from the spring mattresses (regarding design). They often consist of thick urethane foam, which acts as a base for an additional layer of thin urethane foam. In essence, you end up with a thick and dense foam layer on the bottom and thin and soft layer on the top. In the past, most foam mattresses were petroleum based. However, once people became more aware of the health issues related to the petroleum material, manufacturers started using eco-friendly material, such as soy or other natural latex-based fabric. There is one thing where foam matresses beat spring ones: breathability. The fabric used during the production process in naturally breathable: after all, it is foam. This proves useful in hot or hot regions, where cooling effect of the foam mattresses is much more needed. One thing you need to pay close attention to is the foam density and height. Generally, you shouldn't settle for foam that has less than 1.8 pounds of foam per cubic meter, and at least 2 inches of height (thickness). Why? Well, these factors affect comfort and durability. The higher and denser the foam is, the more pressure it can endure. Consequently, the more resistant the foam is, the more comfortable you'll experience. The reason why stock RV mattresses are uncomfortable is that they are thin, light and lack that, dense foam base; it is not because they are foam mattresses, it's because they are just poorly designed. Alas, foam mattresses are often much softer than the spring mattresses. There is some difference between memory foam and foam mattresses. Though they often feature similar design (regarding urethane foam base), memory foam mattresses feature an additional layer of moldable memory foam. They are often more expensive than the regular foam mattresses since they bring more health benefits to the table. The memory foam is highly flexible and responsive, and once you lay atop of it, you get that feeling as if you are flying on a cloud (at least I do!). Most importantly, memory foam layer helps you deal with back, neck, shoulder or hip pain. The product we'll review, Serenia Sleep Memory Foam RV Mattress, features open cell design, which is very important. If you decide to purchase memory foam mattress, make sure it features open cell design because the older closed cell design had issues with breathability. The foam would condense easily and accumulate a lot of moisture and sweat. There are also different types of memory foam. For instance, you have the gel memory foam, which features cooling effect. 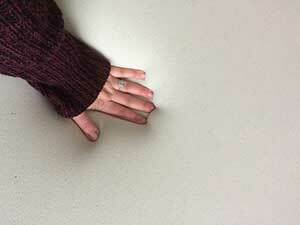 It is colder to the touch than the regular memory foam, and it is also more expensive. As we said it, memory foam and regular foam mattresses feature a similar design. You have the base foam layer, which is acts as a supporting foundation for the soft top layers. However, memory foams feature one or two breathable layers in-between the base foam and the memory foam, which helps get rid of the extra condensation and sweat accumulation. In the end, you have the memory foam, which molds according to your body specifics, your weight, and dimensions. If you decide to purchase memory foam mattress, don't be stingy and don't look for poor imitations. Buy from notable retailers and manufacturers, those who have credibility and tons of reviews to back them up. You might be wondering why there aren't any air mattresses on our list? Well, there are a couple of reasons why we haven't put them on our list. First and foremost, I don't find them reliable. When I'm on the road, going camping or hunting, I don't want to worry about potential leaking or deflating. Now, this doesn't mean that air mattresses are the worst type of RV mattresses. For starters, they are portable and easy to store. Also, modern double air mattresses allow you to inflate the two sides individually. That's great news for couples with different preferences, and you can adjust the firmness level according to your needs. They are also less durable than any other mattresses. You have to check for leaks, inflate if needed, and hope it won't tear or burst. Admittedly, there are robust and durable air mattresses on the market, but they are still air mattresses. One thing that RV air mattresses got going for them is a comfort. Most have padded top layer (generally foam layer), which does increase the mattresses comfort. So, if you do decide to buy an RV air mattress, go for the one that has the top foam layer. True, there are mattresses labeled as soft, medium or hard (regarding thickness). But, be aware of the fact that terms such as softness or hardness are very subjective, i.e., what you find soft might be too soft for me. Why are we mentioning this? Well, whenever you are buying something online, you look consumer reviews. In the case of mattresses, people will often discuss whether the mattress is soft or hard, and this is where you'll find conflicting opinions. What I'm trying to say is that you should observe everything with a dose of skepticism. What we suggest is that you gather evidence. Look how many people claim what, and check the official manufacturer's statement. Alas, you can always return the mattress if it's not what you expected. The way you treat your mattress affects its durability. First and foremost, make sure it fits the frame. If it's too big, don't try to force things; send it back and ask for a replacement. Also, use a mattress cover. If the product comes without one, you can always order it additionally. Rotate if possible. Of course, you can't expect the same comfort once you rotate it (because the base isn't as comfortable as the top foam layer). But, if you have the topper, that's never a problem. And here's the parental advice: don't let your kids jump on the mattress! Pro Tip: If you order your mattress online, it will arrive in a small box. Do not unpack the box outside of your RV. Instead, bring the box in and start unwrapping it. As you empty the box, the mattress will slowly stretch and gain its original form. We also suggest you let it breathe for at least a couple of hours before you use it. Now that you have a good understanding of what things you should focus on, what is essential, and what material is the best for you. Let's combine everything we discussed into our top 5 products. Zinus RV mattress is 10 inches thick (though you can opt for the 8 or 6 inches versions), featuring iCoil spring system, which offers firmness and stability. 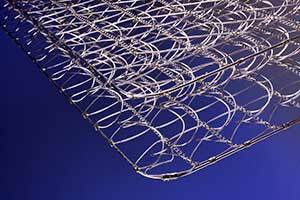 This coil system consists of hundreds of individual coils, which helps minimize motion transfer. It is ideal for partners since the iCoil system reduces motion, so you won't even feel the motion induced by your partner. It contains green tea extracts, which help minimize the smell (you know, that smell of "newly purchased things"), but also helps the mattress to maintain freshness over an extended period. It is certified (CertiPUR-US), and the foam is made of natural ingredients. The most prominent segment of this mattress is the coiled spring base, which is, in the case of 10-inch mattress, 7.5 inches thick. Then you have a layer of very dense foam (0.5 inches). Atop of the dense foam is the medium-sized comfort foam (1.5 inches thick), and then a 0.5-inch layer of soft foam. Atop of that, you have the protective quilted fabric, and the knitted Jacquard cover. The product is surprisingly inexpensive, with optimal firmness, having a mixture of firm coils and soft natural foam. We also commend the generous 10-year warranty, smart packaging, and easy installation. Zinus Deluxe Spring RV Mattress is my favorite product on the list, considering its value, durability and low cost. It is firm (which is what I like), but some of you might consider adding a topper to make it softer. Serenia Sleep mattress is 8 inches thick, 75 inches long and 60 inches wide (Queen size, though other options, are available). It is a mid-priced mattress, ideal for those who want to upgrade the comfortability of their RV, but still, save some money in the process. The mattress features 6-inch base, upon which lies the 2-inch layers of memory foam (weighing 2.5 pounds). Much like the previous mattress, it features open cell design, which helps regulate the temperature and distribute weight across the mattress surface. We recommend for people with back, hip and shoulder problems since the mattress help relieve the pressure of these key pressure points. This mattress features Euro-style stretchable cover, made in the US. Serenia Sleep is a respectable company, known for manufacturing durable, comfortable mattresses. .The product is made for people who seek medium firm base, and medium memory foam support, which adds comfort and convenience. It is hypoallergenic and repels accumulation of dust. It is CertiPUR-US certified and comes with spot clean cover. The mattress is also very breathable, which adds coolness during those hot summer day. But, it is a bit too firm for a memory foam mattress. It's good news for people who seek firmness, but I expected this one to be softer, due to the promised 2-inch memory foam layer. Still, I commend the design, easy to clean cover, and quality design. Parklane 8-inch RV Mattress is another 8 inches thick mattress, second most expensive on the list. The reviewed one is Short Queen-sized, 60x74 inches big, perfect for RV. This mattress features Eurotop pattern designed, mixed with coil system. The product consists of 7 different layers, including foam base, Bonelli innerspring system, high-density foam and other segments. It is very durable, fit for those who want to mix comfort with durability. It features 360 coils, spread across the inner segments of the mattress, thus adding stability and comfort. It is a coil mattress, and we recommend it to people who seek firmer mattresses. But despite its firmness, it is still very comfortable (that is if you like firm surfaces). It is hypoallergenic, free of chemicals and nasty smells. The product is straightforward to set up, comes in a neat package, and could be an excellent replacement for your existing mattress. It is a bit expensive but worth the price, considering its durability and quality design. I'm surprised with how comfortable this mattress is, considering it is coil mattress. The seven layers design system adds up, with each layer being more softer than the previous one. This system helps absorb and relieve the body pressure, but remain firm enough so that you don't drown in it. However, it might be too firm for some people, especially those with hip and shoulder problems. Know that you can always add a memory topper on it, which would balance the scale and add more softness to the mix. Denver 326391 is by far the most expensive product on the list. It is a foam mattress, 75 x 60 x 11 inches in dimension and surprisingly lightweight (47 pounds). It is well constructed, featuring thick foam base and Euro-top design. It's all about comfort with this mattress. It is very soft, thanks to the plant-based 1.8 pounds foam. The plant-based material helps prolong durability, inspire freshness and provide luxurious comfort. The stretch knit cover is breathable, soft and very easy to clean. It is luxurious, arguably the best-looking mattress on our list, but you will have to pay for that price. It unquestionably fits those with health issues (shoulder or back pain), since the mattress takes good care of your back, hips, and shoulders. The product is made in the US, and customer service is more than friendly. It is worth mentioning that this mattress has been rigorously tested: it is toxic free, hypoallergenic and even meets fire prevention regulations. There's no doubt that this is the most sophisticated and the most durable mattress on our list. But why is it not the best? Price and softness. It is costly (when compared to others on the list), and is too soft for my taste. But, I can see how this mattress will please those who seek softness, security, and durability when selecting their new mattress. AmericanMade Full-Size RV/Truck Mattress is 73 x 52 x 4 inches big, made of firm polyurethane foam. It is a mattress topper, made for people who want to improve their sleep without the need of buying an additional mattress. If your existing mattress is too thin, hard, or if the strings are poking your body (but is otherwise in good condition), consider obtaining this topper. It comes in several sizes (king size, queen size, etc.) so that you can pick the one that will fit your RV. It comes without cover, though you can order it additionally for a very affordable price (waterproof and hypoallergenic cover). It is a topper, 4 inches thick, designed to provide an additional layer of comfort to your existing mattress, reduce sagging and dipping. It is environmentally friendly, manufactured with earth-friendly methods. The mattress features PURgreen certification, meaning it is chemical free and safe to use. It isn't hard, but a medium-dense mattress, suitable for those who want to immerse in their sleep. But, it is a bit firmer than the memory foam mattresses. The 33lb polyurethane foam reduces pressure, supports your body, helping it relax in every possible way. It is the least expensive product on the list, though you can buy more massive versions of this mattress (which will cost you more). We recommend this as the best RV mattress topper for those who want to enhance their existing mattress, either because it is too thin, too hard, or if the springs are bugging you. It is very affordable, comes in various sizes, and will surely add comfort to your RV. 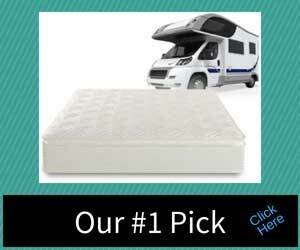 If you want to follow my advice, the best RV mattress is the Zinus Deluxe Spring RV Mattress. It's durable, very affordable, firm, comes with 10-year limited warranty and is very refreshing, thanks to the Green tea extracts and BioFoam material. It's stable and firm, but still has a layer of soft foam, which adds comfort. All in all, it is the best mattress on the list. Looking for the optimal RV mattress isn't an easy task. It does require some research and consideration. But the time you invest in research will pay off in the end. If you read this article from beginning to the end, I'm sure you now have a better understanding of mattresses in general, not just camper mattresses. Pay close attention to dimensions and material: these are the things with which you should be most concerned. Of course, mind your budget, health benefits and personal preferences. If you are sharing your mattress with someone, discuss the subject with them. And don't forget to take good care of your mattress: clean it regularly, and make sure it does have enough space to breathe; the better you take care of it, the longer it will take care of you.